An investigation has found that the US-backed, Saudi-led intervention in Yemen has cut secret deals with jihadists from al-Qaeda in the Arabian Peninsula (AQAP), paying them to leave cities rather than dislodging them by force. The startling revelations come in stark contrast to the long-running US policy of trying to eliminate the jihadist organization with the help of allies from the Arabian peninsula, however, the more pressing aim of defeating Iranian-backed Houthi rebels in Yemen has seen AQAP effectively be on the same side as the Saudi-led coalition — and, by extension, the US, according to Associated Press (AP). AP based their findings on reporting from the war-torn nation and interviews with two dozen officials, including Yemeni security officers, militia commanders, tribal mediators and four members of al-Qaeda’s branch. 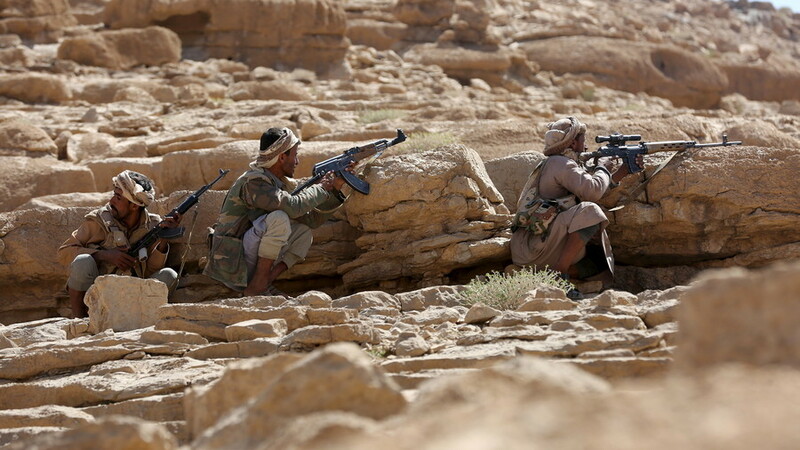 The US and their allies have maintained that the last two years has seen them dislodge AQAP from their strongholds in Yemen and limiting their capability to launch attacks on the West. What the investigation reveals, however, is that this was often done without firing a shot, with key participants saying the US was aware of the arrangements and held off on any drone strikes. Due to the lack of reliant and effective partners on the ground, coalition partners have also reportedly hired al-Qaeda militants, or at the very least recent members, to fight in militias due to their reputation as “exceptional fighters,” AP said. While there is no evidence to suggest that the US itself has given money to AQAP militants, partners involved in the Saudi-led coalition have. The aide of one militia commander recently added to Washington's terrorism watch list for al-Qaeda ties told AP that the UAE continues to fund his operation. While the US does not fund the Saudi-led coalition, it along with the UK, have sold billions of dollars in weapons to Arab partners, as well as providing logistical and targeting support. While there is awareness and “angst” by “elements of the US military” that its activities in Yemen is strengthening AQAP, “supporting the UAE and the Kingdom of Saudi Arabia against what the US views as Iranian expansionism takes priority,” Michael Horton, a fellow at the analysis group Jamestown Foundation, told AP. In an email to AP about their investigation, a Pentagon spokesperson denied any US support for AQAP or that they have been soft on drone strikes, and backed up its Arab allies’ commitment to tackling extremism. “Since the beginning of 2017, we have conducted more than 140 strikes to remove key AQAP leaders and disrupt its ability to use ungoverned spaces to recruit, train and plan operations against the US and our partners across the region,” spokesman Navy Cmdr. Sean Robertson wrote. “Our regional partners have a proven track record of aggressively pursuing terrorist organizations and denying them safe haven in Yemen and DOD does not have any reason to doubt their resolve,” he added. The Saudis meanwhile said it continued its commitment to combating extremism and terrorism. The UAE did not respond to AP’s request for comment.